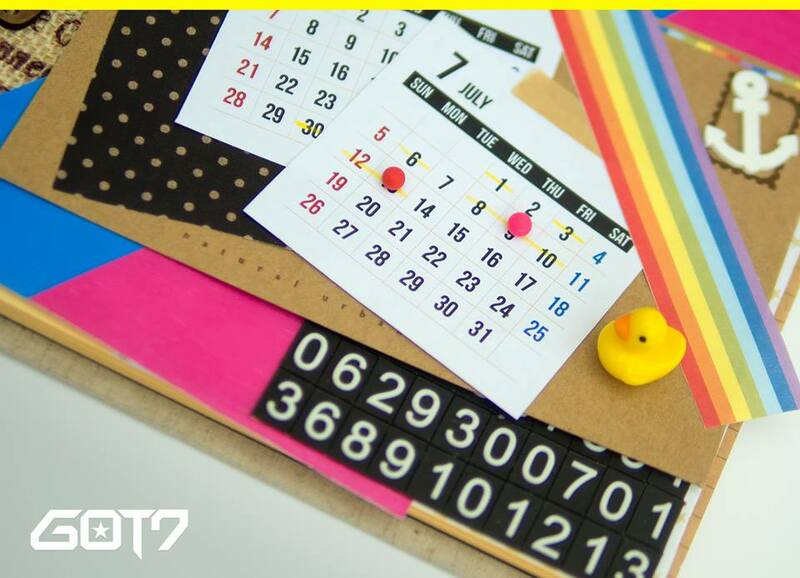 Another page has turned in the latest teaser image for GOT7’s upcoming 3rd mini album ‘Just Right‘! Counting down with two weeks left to GOT7‘s comeback, the group has dropped their first set of individual teaser images! The Real GOT 7’s day is back which we longed for is finally here now! Guys, it is already the last day of June, the hot summer weather, did you guys have your summer break yet~? GOT 7 had their little early summer break before making their comeback to have some fun and to hold a rally to strengthen the unity! Everything will be just right because GOT7 is making a comeback! Following the release of a series of pre-teasers for GOT7′s third mini album Just Right, member teaser images were unveiled via Naver Starcast on June 30. 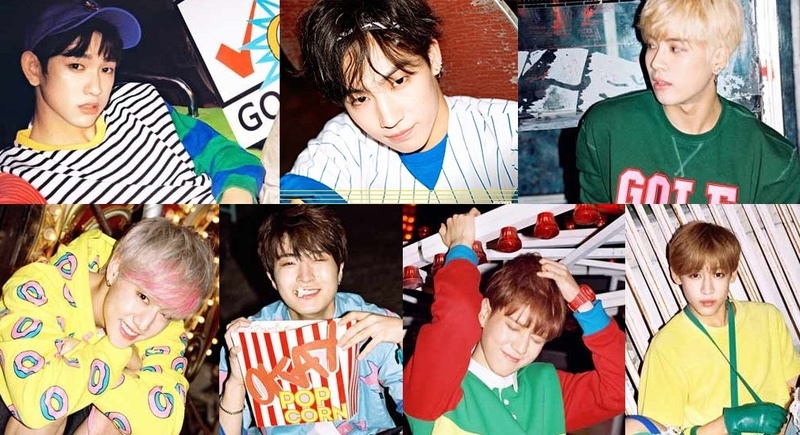 [ARTICLE|STARCAST] GOT7 premiered teaser images of their new track ‘Just Right’! They are back finally~ wow! GOT 7 showed off a pure boy who got really thrilled after getting an approach from a girl who he really fell for with the track ‘Stop stop it’! 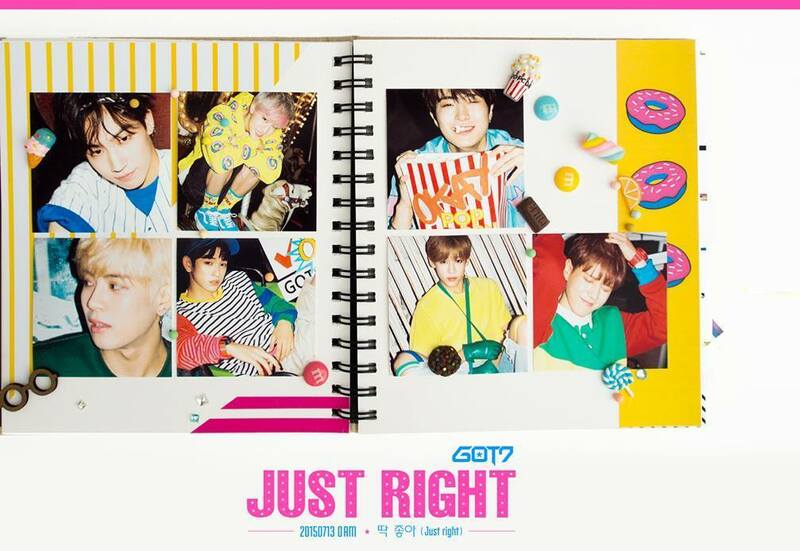 This time, they came back with the bright and fun track ‘Just Right’! 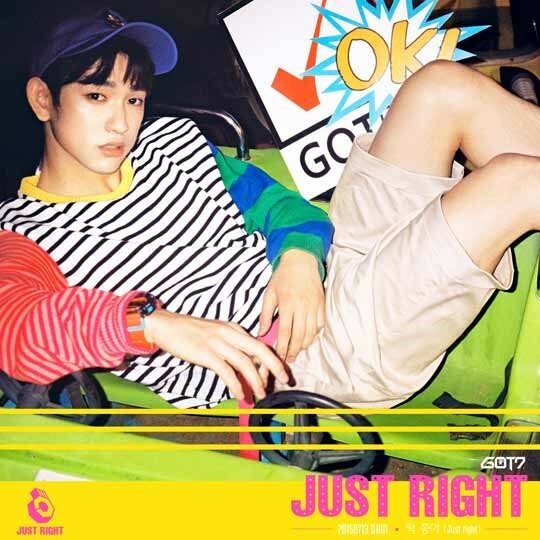 STARCAST is revealing teaser images of GOT7’s ‘Just Right’ right now! Hold your heart tight and have a look at the septet’s charming pictures in a pixel size! Look! Charming guys supposed to look like this! These are what we call the refreshness of male Idol groups! Oh! GOT7’s comeback date is Monday of July 13th. Their comeback day is also just right! Following the exciting announcement that boy group GOT7 is gearing up to make return to the music scene next month, brand new individual teaser photos have been revealed! On June 30, seven individual teaser cuts of each one of the members were finally unveiled, making fans’ anticipation to shoot through the roof, as they got a peek into what kind of concept the group will be presenting this time around. [ARTICLE] GOT7's Jackson thinks every house has a swimming pool? On a recent episode of ‘Our Neighborhood Arts and Physical Education,’ GOT7‘s Jackson took on the challenge for the World Championships. GOT7 is back with a bright new teaser for their summer comeback Just Right.At midnight on June 30th, JYP entertainment released the first official teaser for the group’s comeback (in accordance with the first rumored teaser date) following the pre-teaser calendar on June 29th. On June 29th, JYP Entertainment released the first teaser for rookie boy band GOT7‘s summer comeback!The tweet was revealed to be a pre-teaser for GOT7’s upcoming release Just Right and seems to be hinting at surprises for IGOT7s. Are you excited for GOT7’s comeback? They’ll be back with a funky, summery new mini-abum, ‘Just Right,’ for which they just dropped their first pre-teaser image. So this is not even their actual teaser! This is a teaser to their teaser!